On an average day in the summer everyone has the opportunity to engage in meaningful work, interact with colleagues, taste fresh organic produce, and get some exercise. Who would want to give that up for the first 3 months of the year! With that in mind, the Winter Program was started. This will be the 5th consecutive year of the Red Wiggler Winter Program. 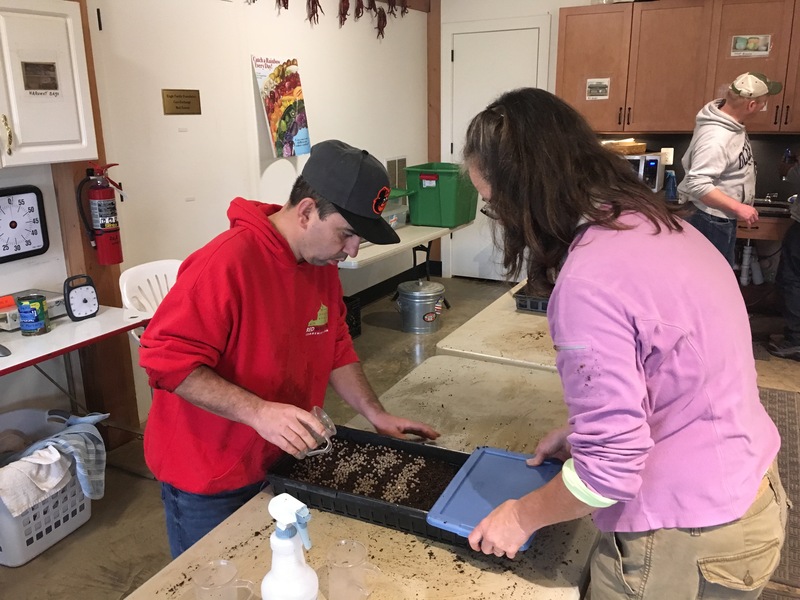 The main feature of the Winter Program (and the way we keep our hands in the soil) is microgreen production. 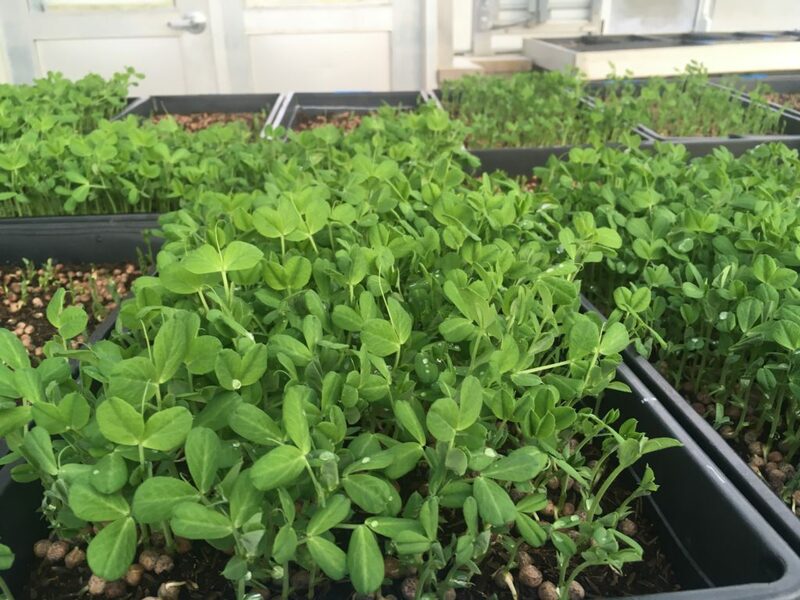 Almost any vegetable can be grown as a microgreen, but we've chosen pea shoots for flavor and disease resistance. 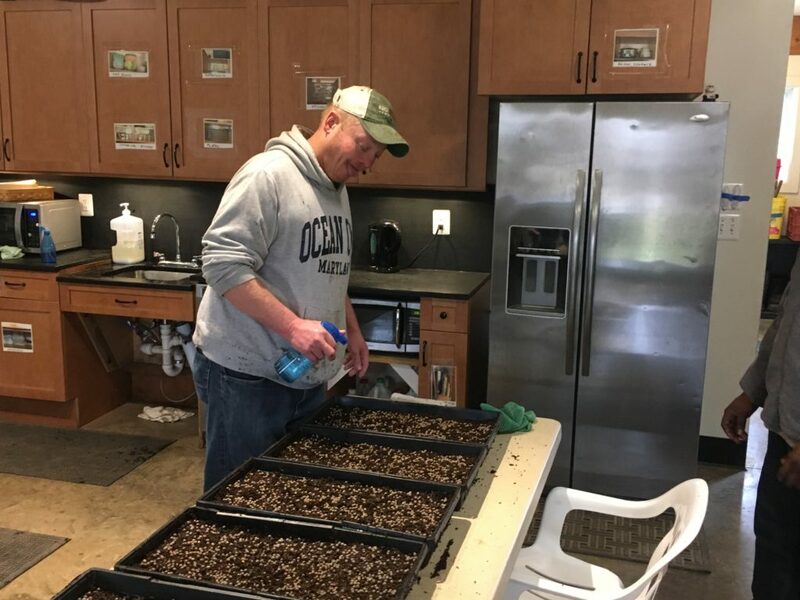 After potting mix is prepped and put into trays, the team covers each each tray evenly with seeds. 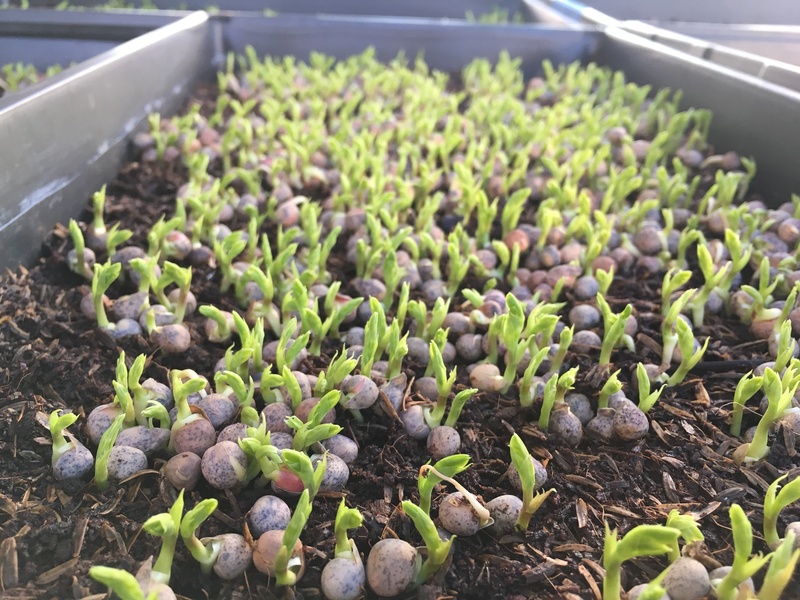 The same seeds can develop into full size plants with pods, but these will be harvested while they are just tender shoots about 3-4 inches tall. 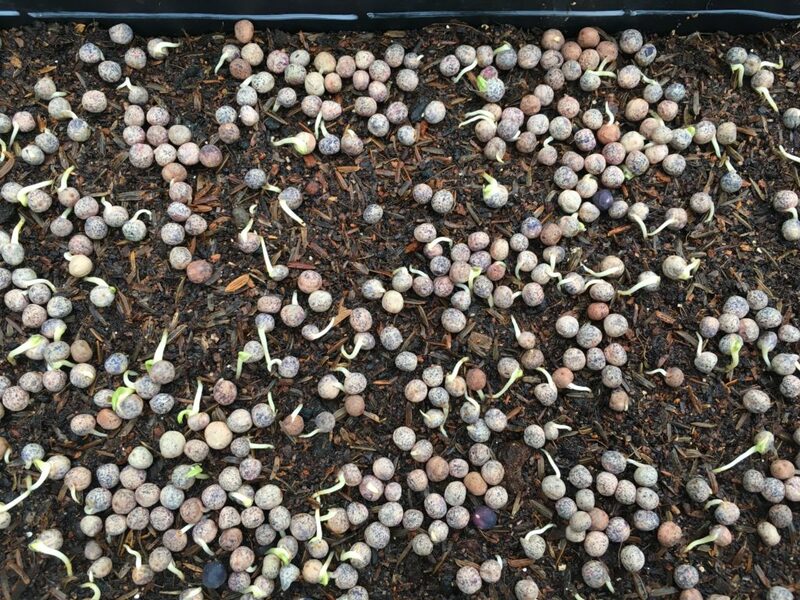 Next the trays are sprayed with water to kick off the germination process. Stacking the trays will keep the moisture in during the critical first days. In a few days roots will start to break thru, followed by the cotyledon (first leaves) searching for the limited winter light. After about 4 weeks in the greenhouse, the team will harvest the shoots with scissors, then wash, weigh, bag, and enjoy. Pea shoots can be a great stand-in for any tender leafy green. (Try trading your spinach for pea shoots.) The tender stem and leaves are a good source of fiber, folate, beta carotene and vitamin C (University of California Berkeley- BerkeleyWellness.com). The greens not only provide us with a bit of fresh nutritious produce over the winter, but will also go to group home agencies and other local outlets.